Lynda is a leadership coach and registered social worker with over 20 years’ experience as a workshop facilitator, coach, clinician and keynote speaker in the areas of leadership, organizational health, change management, stress management. She holds a Master of Social Work degree, as well as being a Certified Professional Co-Active Coach and a member of the International Coaches Federation. Lynda has held various leadership roles in her 25 year career, and currently works as a coach specializing in transformational writing for burnout prevention, personal growth and success. She is passionate about the power of the coaching relationship to support people to be and do their best. Lynda is a passionate facilitator who creates engaging and dynamic learning environments where new insights, wisdom and learning can naturally flow. Seniye brings a wealth of expertise in leadership and management with a particular focus on increasing performance while building team spirit and achieving organizational goals to her role as a trainer with ACHIEVE. Seniye has managed teams from five to 125 people and with roles in management and executive leadership. She holds a Master’s of Science in Adult Training and Development and is an adjunct Professor at Clark College. She has worked with clients such as REI, New York Cupcakes, Vestas Americas, Multnomah County Libraries, Oregon Child Development Coalition, Nike and Columbia Sportswear. Her broad perspective, approachable manner and training expertise make for engaging learning environments. Krystel is a licensed clinical psychologist based in New York City with a doctorate in psychology from The Wright Institute and a bachelor’s degree in psychology from the University of Washington. She has specialized experience in behavioral therapies, mindfulness-based techniques, behavioral medicine/health psychology, multicultural psychology and crisis intervention. In addition to training with ACHIEVE, she works as a psychotherapist in behavioral medicine working in a wide range of medical clinics and nursing facilities throughout the five boroughs. Complementing workshops with real-life clinical examples, practical skills training and a high-energy passion, she engages workshop participants in thoughtful discussion to optimize learning. Based in Seattle, Ruth is both a communication specialist and licensed counselor who holds a Master’s degree in Expressive Therapies and Mental Health Counseling and a Bachelor’s degree in Communication Science. She is currently Vice President of Program Development and Training with First Aid Arts, an international NGO based in Seattle, where she is responsible for managing, developing, and facilitating experiential training. Ruth has more than a dozen years’ experience working within diverse and challenging environments in both South Africa and the United States, including roles in justice, education, and community based programs. As a passionate and creative facilitator, Ruth is committed to engaging participants by creating dynamic and supportive spaces for participatory learning. 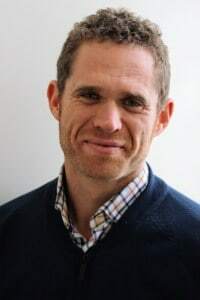 Based in Portland, Matthew Hartman holds a Master's degree in Conflict Transformation and has a rich background as a facilitator, mediator and trainer. Working across the US and internationally, he has provided facilitation, consultation and training in conflict transformation, mediation and restorative justice to non-profit, public and corporate sectors. With both private and public sector leadership experience, Matthew utilizes an empowering and collaborative approach to working with people. His natural style and ability to put individuals and groups at ease assists all parties in achieving their goals through listening, transformative dialogue and creative problem solving. Based in Chicago, Shadell Permanand has more than 20 years of experience in the areas of conflict resolution, restorative justice, and cultural diversity. Her key roles have included Executive Director of a conflict resolution and restorative justice organization in Toronto, Canada as well as senior leadership roles at York University and University of Toronto related to conflict resolution, crisis management, developing restorative student conduct programming, equity/diversity, and public education. Shadell is an engaging facilitator who is passionate about developing environments that support equity, inclusion, restorative justice, and constructive conflict resolution. Aaron holds a Masters Degree in Conflict Transformation and is an experienced facilitator and trainer specializing in mediation, conflict resolution, and restorative justice. Throughout his career he has provided leadership for a variety of organizations, and for close to 15 years, he has facilitated high-conflict conversations for both small and large groups of people. Aaron has a passion for supporting people through high-stakes and emotionally charged conversations. He believes that conflict presents a vital opportunity for individual and organizational growth. In addition to training with ACHIEVE, Aaron is a consultant in private practice, where he works with schools, criminal justice, and other organizations both locally and internationally. A passionate facilitator, he brings an upbeat, insightful, and engaging presence to all of his workshops.